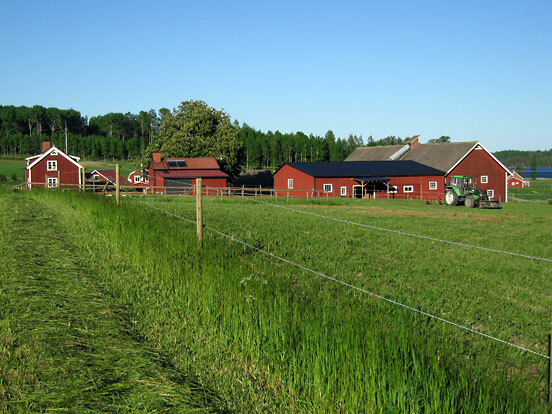 The farm Aspegården is situated two hours drive south of Stockholm not far from the town Linköping in a varied landscape overlooking the lake Järnlunden. On the farm we have Icelandic Horses and grow hay, haysilage and oats mostly for our own use. We have only lived on the farm since 2006 but the farm has a long history. Originally built in 1740 in the village Törnevik just minutes away. A land reform in 1860 made farmers move out from the villages and they brought their homes with them. 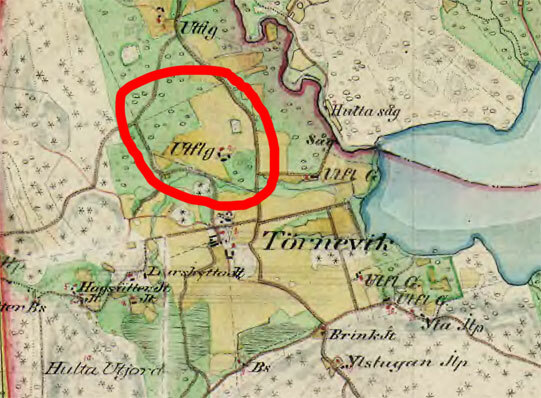 Our farm was one which was moved to it´s present location at that time as seen in the historical map from 1868-77. Farms that where moved from the village are marked "Utflg". The original houses are made from timber and painted in the traditional red colour with white trimmings used in Sweden . 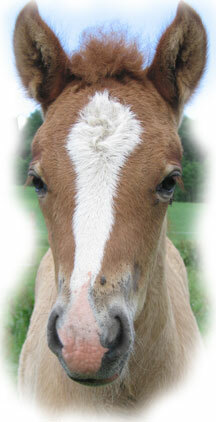 Hlín is the first of our own breeding born on the farm. Just a month old in the picture!